Court reporting. Culinary design. Automotive repair. For more and more high school students, career and technical courses are taking their place right alongside English and math, whether students are planning to pursue a college degree or not. The average graduation rate for students concentrating in CTE programs is 93 percent, compared to an average national freshman graduation rate of 80 percent. More than 75 percent of high school students who concentrated in CTE pursued postsecondary education shortly after high school. Many of the fast-growing jobs through 2022 will be in the CTE fields including health care, the skilled trades, STEM, IT and marketing. With 208,000 students, Hillsborough County is one of the largest districts in the country. In its 28 high schools and 43 middle schools, students can take courses in one of 17 career clusters that include a variety of programs of study. The district emphasizes rigorous curriculum, real-world applications and industry certification. One of the most popular CTE programs is the veterinary assistant program, according to Pamela Walden, supervisor of the agriculture and Junior ROTC program, who has been with the district for 37 years. 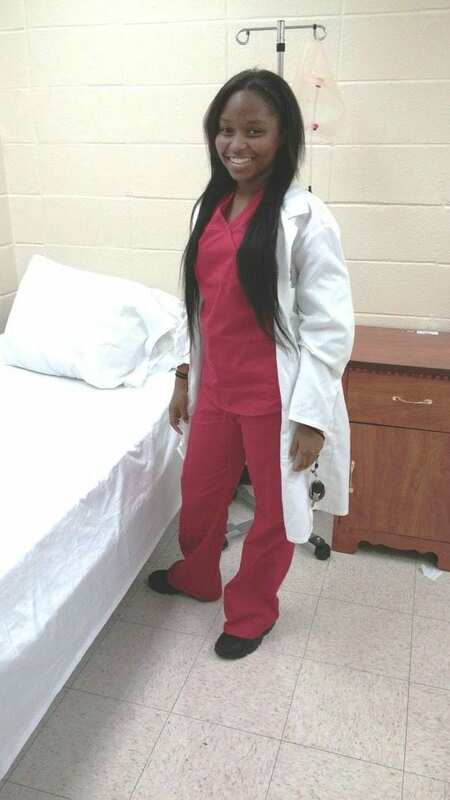 Students take five courses in the program from their freshman through senior years of high school and work at a vet’s office for hands-on experience. They can earn nine hours of college credit, and if they pass the exam through the Florida Veterinary Association, students receive a vet assistant certification. An early start. Hillsborough is one of the few districts that begin CTE in middle school. Sixth graders can take a career research development course to explore different careers and in seventh and eighth grades enroll in a career-tech course based on their interest—from computers to culinary arts. “It really helps them focus on what they want to do and gets them prepared for the direction they want to take,” says Walden. Responding to business. The district works closely with employers to develop training that closely aligns with industry certification tests, says Walden. Each year, nearly 3,000 students earn an industry certification. Programs are added and modified based on input from community partners. For instance, the emphasis on STEM prompted the county recently to develop an ag biotechnology program and studies in ag communications. Also, the technology area has expanded to include game design and TV production. Hosting industry-specific events. The county recently added a new position of “workforce director” to develop industry partnerships. 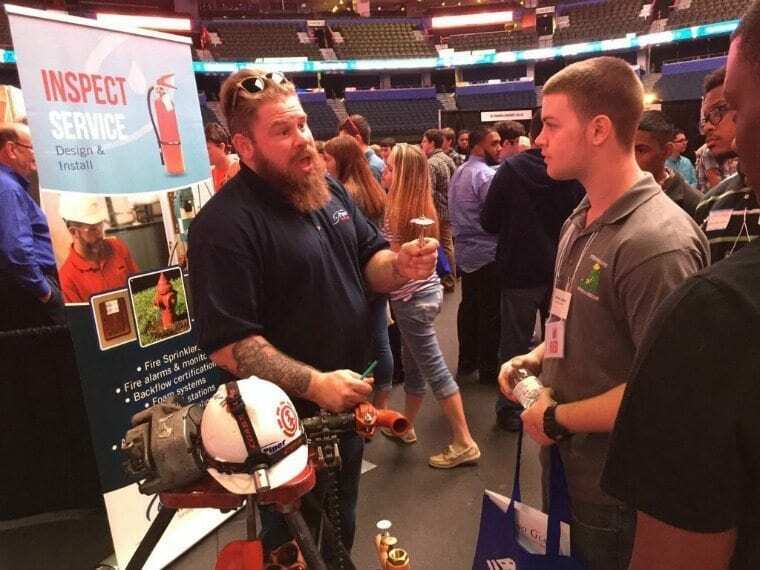 The district just held an event called “Build Tampa Bay” that connected local construction, carpentry and engineering firms with students studying in those CTE programs. Employers set up booths in a large arena where they could interview interested students. Business partners paid to have about 700 students bused in from area schools, Walden says. The mayor, superintendent and school board members also attended. The district hopes to host similar events for other areas such as health care and IT, added Walden. About 10 years ago, Metro Nashville Public Schools went through a major transformation and developed wall-to-wall career academies in all of its high schools. Partnering with the business community, the district updated its programs to match the needs of the local workforce. Rather than an elective, career training is integrated into the curriculum for all students. At Whites Creek High School, students in grades 9–12 can choose to study a pathway in community health; alternative energy, sustainability and logistics; or education and law. A college and career approach. The focus is to prepare students for both college and career—rather than one or the other. Teachers work together to embed career training in academic courses, says Gaye Martin, CTE coordinator in the Nashville district. There are interdisciplinary projects, for example, where students read Hamlet in English class and do calculations of the crime scene in math class. “It makes reading Shakespeare come alive for them, infusing that entire perspective of criminal justice,” she says. Incentives for success. Students can earn industry certification and early college credit while still in high school. In the criminal justice program at Whites Creek, money was solicited from private donors to help pay for the cost of dual enrollment courses. Students pay a discounted fee of about $25 per class and the grant money is used to reimburse them if they complete the course and earn the three hours of college credit. This not only gives these first-generation college students a jump-start, it also instills confidence to purse postsecondary education. Real-world experience. Students in the law pathway can act as attorneys, law-enforcement officers and court reporters in Youth Court, held in the school’s mock courtroom with a real juvenile justice judge presiding. There also are labs where they learn to do fingerprinting and use crime-scene equipment so students can get a glimpse of career possibilities while still in high school. 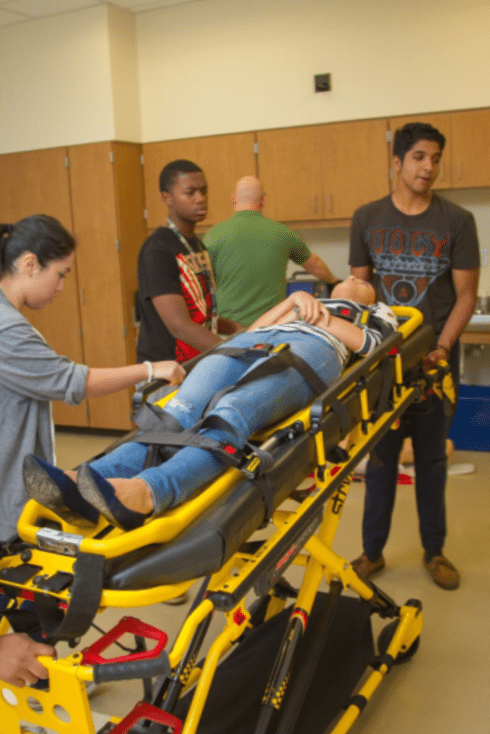 Strong career-tech programs need to be continually improved and respond to market forces while maintaining rigor, says Shawn Blessing, CTE coordinator for the Irving Independent School District in Texas. At Irving ISD’s Jack E. Singley Academy, with 1,700 students in grades 9–12, that has meant recently expanding its offerings to include homeland security, cyber security and video game design. “The focus is on change, the future and staying current. It’s a very forward-thinking school,” says Blessing. Community input. Each CTE cluster and specialty program in the district has an active advisory board with leaders from business and industry colleges, to help set goals, provide feedback and deliver programs. Student recognition. The district encourages students to be involved in their career and technical student organizations, such as DECA, as well as professional associations and honor societies. The school provides letter jackets to students who show outstanding performance in CTE, and the standards are higher than for other programs, according to Blessing. Workplace learning. Whether a paid or unpaid internship, a student-run enterprise in graphic design or culinary arts, students in strong CTE programs need experience in their fields, says Blessing. Some of Singley’s programs have received national recognition for partnering with businesses and providing students with work-placed learning opportunities. Students from school districts in the suburbs east of Phoenix come to East Valley Institute of Technology for a half day of career training to pursue one of 40 programs. Classes are tuition-free for 10th–12th graders, who spend the other half day at their home schools in academic classes. Since superintendent Sally Downey arrived at EVIT in 2000, she has seen the enrollment grow from 650 to nearly 5,000 today. EVIT students have a 96 percent high school grad rate and nearly two-thirds go on to college. Nearly 10,000 visitors a year from around the country visit EVIT to learn what makes this CTE program thrive. Commitment to rigor. Graduating with a credential is key to the school’s success. Nearly all programs prepare students to test for professional industry credentials, such as a Certified Nursing Assistant license or Automotive Service Excellence certification. Appropriate placement. Students coming into EVIT are asked about their interests and take a brief aptitude assessment. Their grades and attendance record also are reviewed to make sure their program is the right fit. “We don’t want to set kids up for failure. We want to set them up for success,” says Downey. Engaged students. Instruction starts in the classroom and then moves to the lab for hands-on experience in the culinary kitchen or automotive shop, says Downey. Sometimes students go off-site to a day-care facility for hands-on training. “They practice what they learn in theory,” says Downey. Since students are grouped by interest, they feel a sense of belonging and family within the programs, she adds. This blog is brought to you in partnership with iCEV. Register now to participate in CEV’s fall pilot program, which will offer free access to thousands of curriculum resources for CTE.